With all these puzzle titles on the mobile market these days, a game needs to have something unique about it to sell well. Fortunately, Toy Blast seems to have gotten the memo. 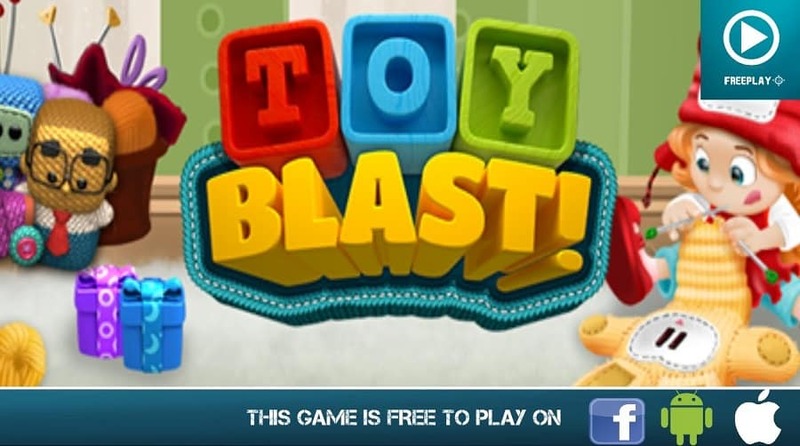 Thanks to some unique gameplay features and a lavish visual design, Toy Blast manages to rise above the competition and find an audience. At first glance, Toy Blast is like most other matching puzzle games out there. In a majority of situations, players are asked to match two or more cubes of the same color in a certain number of moves. When done successfully, this will allow you to reach the goal and collect toys that were before stuck. To switch things up a bit, the game occasionally gives you access to the so-called “boosters” that used to clear the board faster. These items are varied and many, ranging from your standard rockets and drills to the very helpful paintbrushes and vacuums. Furthermore, the game will provide hints every time the player spends a couple of seconds observing the situation, which helps with getting stuck. 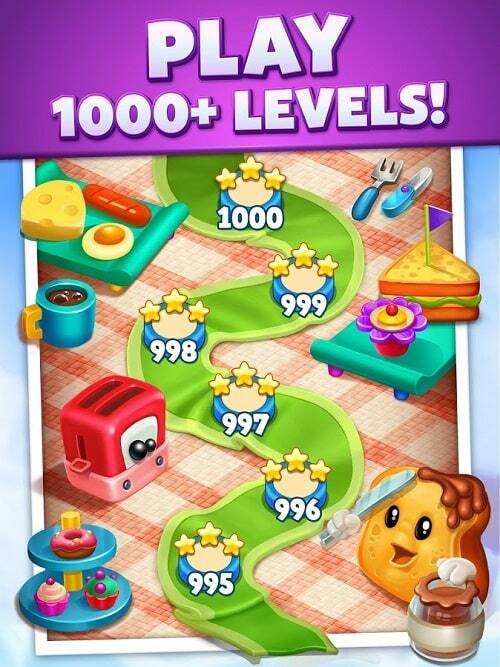 Finishing a level with less number of moves will result in earning more coins – which serve as the game’s main currency – and unlocking more levels. The game has a surprisingly high amount of levels, and they all feel fairly distinct from one another. As far as multiplayer, you can compete against friends via Facebook Leaderboards. When it comes to the overall difficulty, the puzzles are tough but fair. Don’t be fooled by the cutesy visual style – this game is more than able to frustrate you. In a sense, this is one of those titles that are easy to play, but challenging to truly master. From a visual standpoint, Toy Blast for PC can be considered a looker. Both the levels and the maps that go with them are colorful and adorable, with the cool-looking boosters and toys adding a lot of flair to the proceedings. Still, our favorite visual bit are definitely the little fireworks that explode at the end of a successful round. 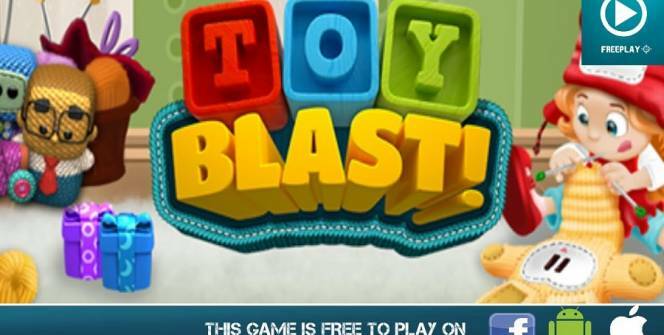 Though the game’s creators claim that Toy Blast is completely free to play, this is not the case. Every time you fail to clear the level in time, the game will ask you to spend 25 coins to buy an extra five moves. In many cases, this will help you get past the hurdle and earn more coins; however, it’s important to note that you only get 25 coins to start with. If you don’t feel like spending money on coins, you can also opt to play the levels until the clock runs out. This means you’ll have to wait for your next life to start, which can sometimes take a while. Toy Blast is a pretty good match-3 title with a slightly problematic free-to-play structure. If you’re interested in a puzzle game that aims to challenge you in a fun way, this one fits the bill. Sometimes when playing Toy Blast, bluestacks ask you fee to pay but gives you option to download some apps. Every time it asks you just select “Install apps” and continue using it free. I hope you enjoyed this article, please rate and share. If you have problems running Toy Blast on your desktop or any other issues, leave a comment below.